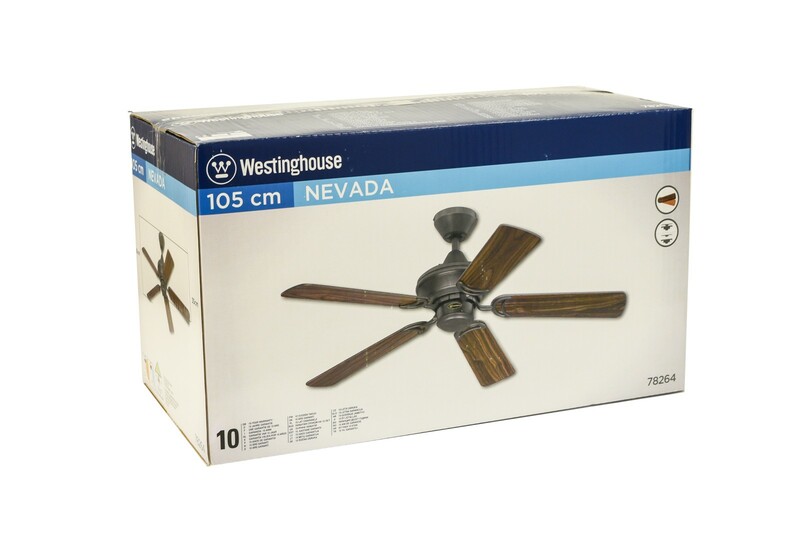 Westinghouse ceiling fan Nevada 105 cm / 42" with pull switch Ceiling fans for domestic and professional environments Ceiling fans without lighting 100 - 119 cm / 40" - 47"
The Westinghouse ceiling Nevada is guaranteed to give your home a feeling of classicism with a touch of wild west romanticism. 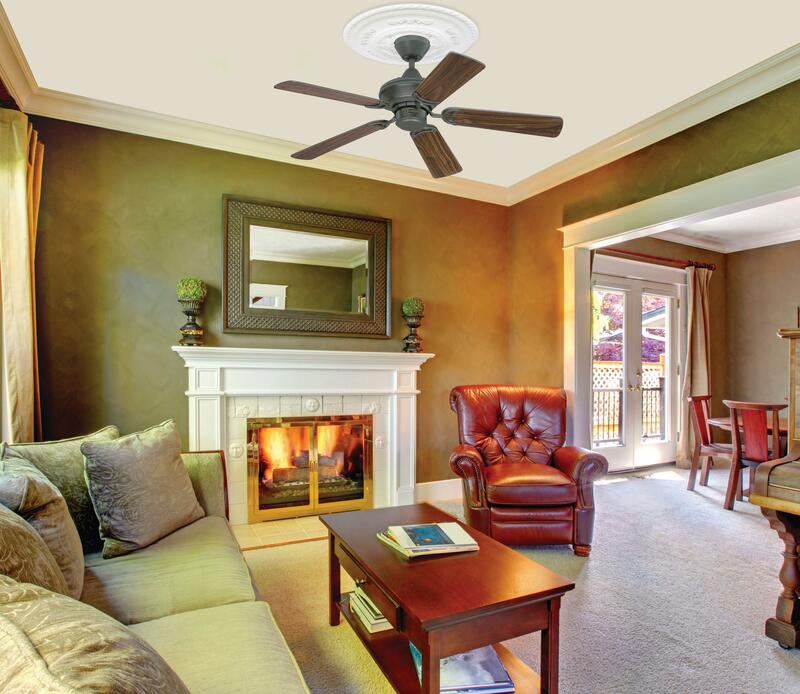 This ceiling fan with an old-look-style has a very appealing design. Its robust housing with antique iron finish holds 5 reversible blades in walnut and cherry. The rotation speeds are controlled with a pull switch, however if desired it is possible to add a remote control or wall switch. 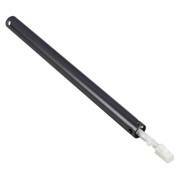 A diameter of 105 cm / 42" makes it an ideal accessory for cooling in small and medium-sized rooms. Despite its robust appearance, the device weighs only a mere 5.1 kg and is also suitable for rooms with low ceilings, thanks to a size of 34.5 cm / 13.6". 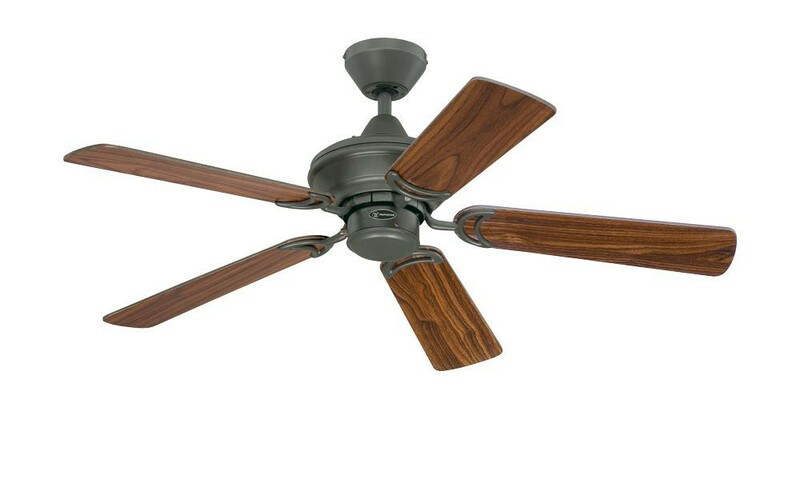 The fan operates on three rotation speeds (215 rpm, 165 rpm, 115 rpm). Another useful feature of the fan is a slide switch on the motor housing that helps to adjust the forward and reverse function for operation during summer and winter. A standard power supply of 230 Volt and 50 Hertz will be needed. 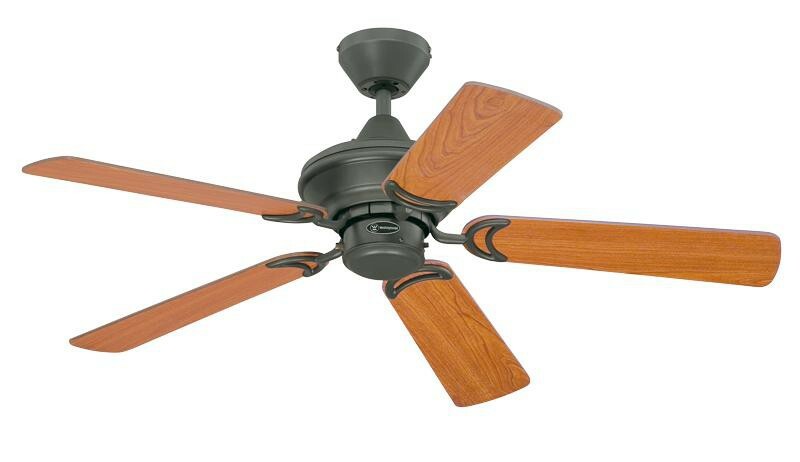 Ceiling to blades: 30cm / 11.8"
Overall drop: 34.5cm / 13.6"
Ceiling fan Classic ROYAL Brown antique with pull cord 75 cm to 180 cm / 30" to 70"
Ceiling Fan Mayfair Steel / Dark Oak 107cm / 42"